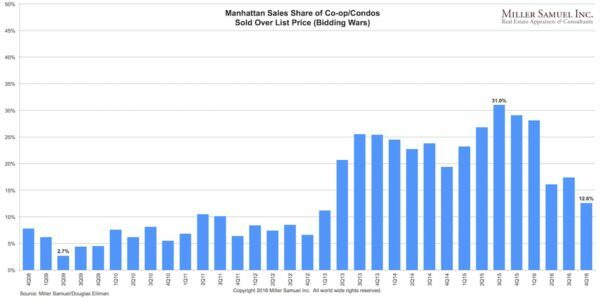 After controlling the Manhattan housing market for quite a while, sellers and landlords exchanged roles with buyers and tenants circa 2015. After peaking in 3Q 2015, the market share of bidding wars fell by two thirds. 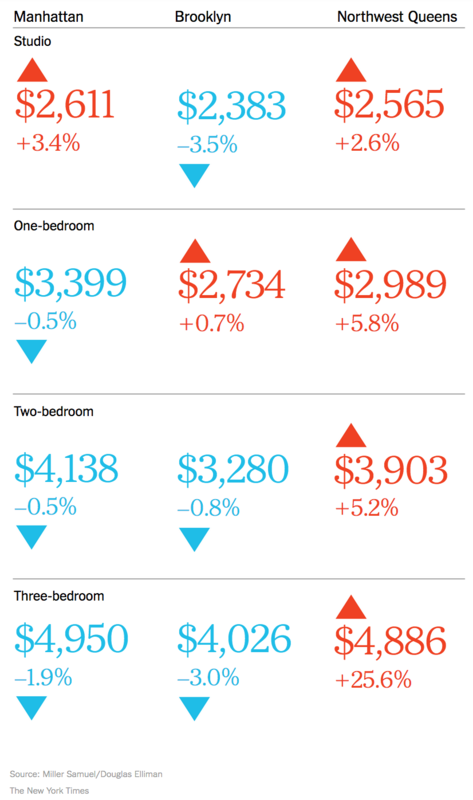 Bidding wars remain more common at lower price points. 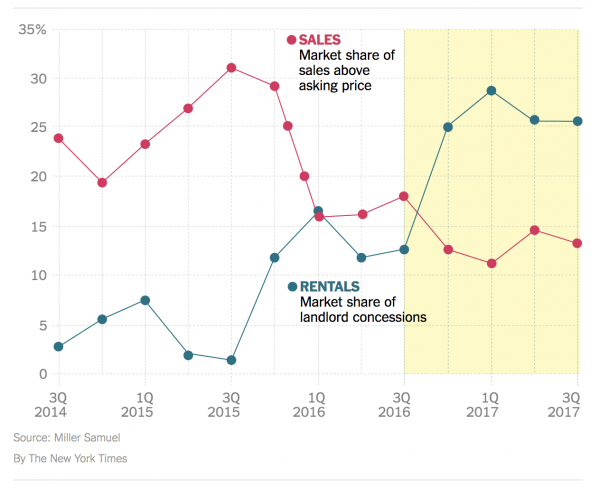 After bottoming in the 3Q 2015, the market share of rentals with landlord concessions has expanded sharply due to high-end rental development over-building. 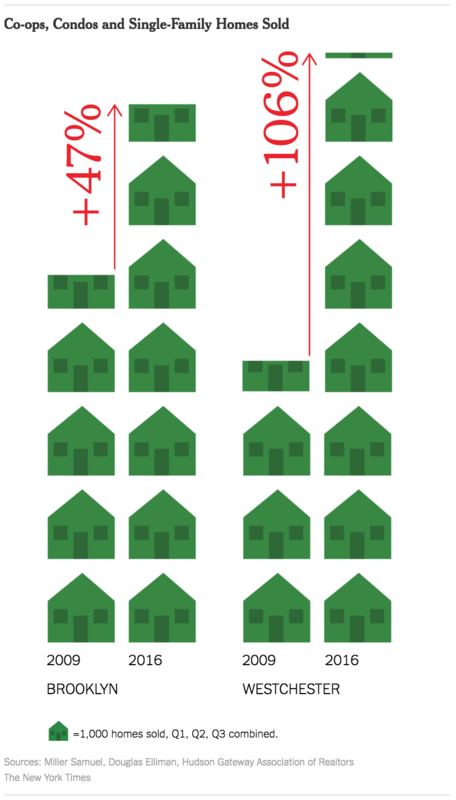 But like the sales market, the oversupply remains at the upper end. 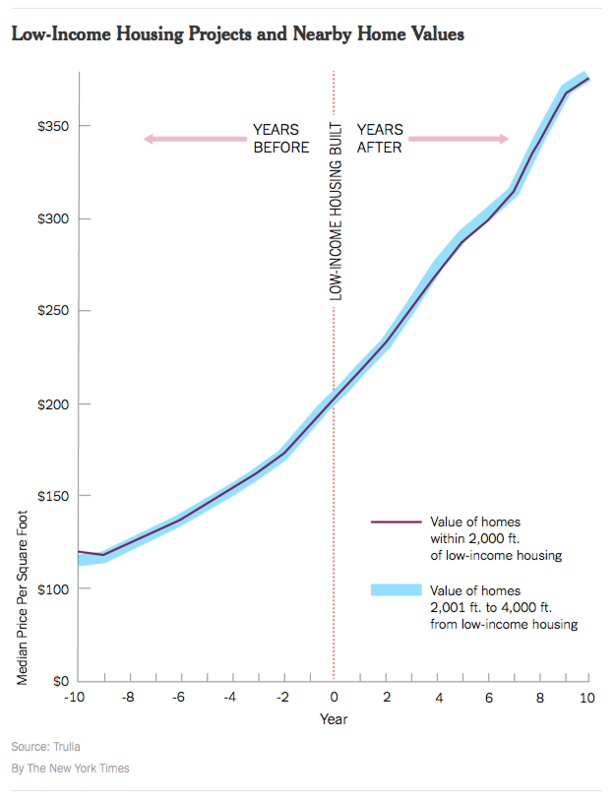 Because I’m a little behind, the awesome infographic below by Michael Kolomatsky appeared in the New York Times real estate section a few weeks ago: How Much Is Your House Worth Per Minute?. My original version covering Fairfield County was so popular they wanted me to do recurring versions. This one was much harder since there wasn’t an obvious “sweet spot” but the concept was the same. And best of all, it’s pretty darn cool. 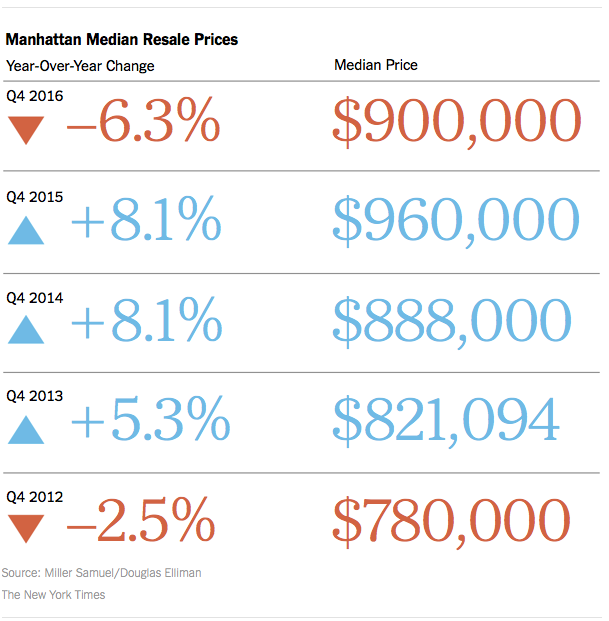 I love the way the NYT Real Estate section handled the data from our Elliman Report series to present the Manhattan resale market. I added my chart on bidding wars below – falling as supply enters the market, causing resale prices to soften.